Blackrow Engineering design, manufacture and install conveyor systems for the food handling, pharmaceutical and many other industries. We have a reputation for working to short lead times for fast moving projects, with our in-house Project Management team and dedicated, reactive on-site support helping the completion of our projects. If a specific specialist machine or brand of process or packaging machinery is required we integrate the equipment in to our systems and projects. Production processes and workflows often have to accommodate physical challenges that make it more complex to deliver items from one point to another. The two points may be on a different level, or in a different part of the building, or there may be a requirement or specific in-line processes. We work with OEM products and bespoke conveyor designs to give our customer’s a conveyor system that is best suited for the materials and products it is handling. Our metal fabrication, electrical engineering and control panel engineers allow us to deliver a turn-key solution. Our fabrication facilities are equipped with 10 and 20 tonne overhead cranes which means our team of highly-skilled metal fabricators and pipefitters can manufacture solutions at large scale on our site. 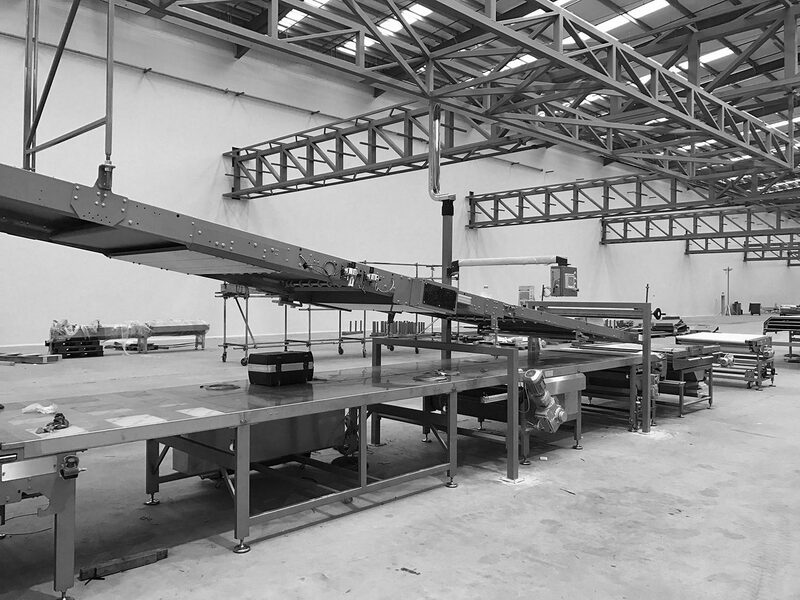 We then subject the product through a rigorous quality testing process before the conveyor system is transferred to your site. In this way we ensure the smooth, glitch-free installation and the minimum amount of downtime. Our specialist knowledge, years of experience and skilled workforce ensure we provide hygienic, safe and reliable systems to our clients. 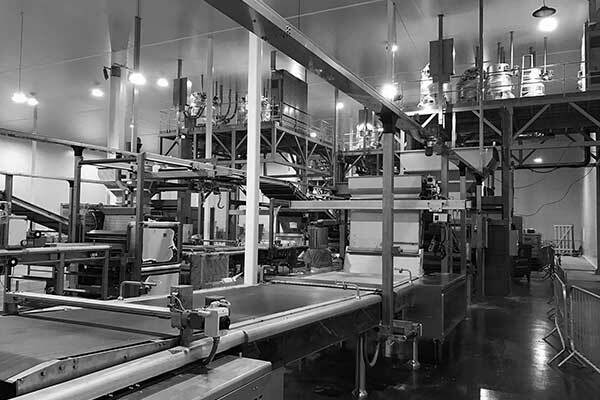 If you have a conveyor project you would like to discuss with us, get in touch with our Projects Team who are happy to discuss options and get your project off on the right track. The successful delivery of your project is assured by the implementation of our in-house processes. This structured framework ensures internationally approved quality standards and drives the design and implementation of a successful project.